I had planned on writing a post talking about how excited I am to head to Laguna Niguel, California tomorrow for Mom 2.0, (which I am), and how I will be pressing the reset button, (which I will be doing). But all I can think about leading up to this year’s big blogging conference is my marriage. Yes. One year ago my head was still spinning from my recent success with Nesting Story. I was also killing the whole mom with four kids, including twins thing, and by killing it, I mean surviving, because… twins. But my marriage was… let’s just say, in an odd place. Mike and I were not just on separate pages, we were in separate books. Yes, he was also killing the dad gig, and yes he was very supportive of my blogging dreams. But we were bickering and fighting more than we realized, and it took our then, six-year-old son to point it out. We could have gone in so many directions this past year. To be honest, I pictured what life would be like apart. The answer was, pretty terrible. This is my soulmate, my best friend, my person. By the summer, we got very real with each other. We began communicating a lot more and each admitting to factors that could be negatively impacting our happiness. Then came the biggest change. We did something about it. So often, as busy, working parents, we can talk and talk in circles. But not really do anything about it. We took action. Starting date night has been a huge part of our change. For us, a weekly date is the perfect amount of reconnecting time. The weeks that we have missed our date night due to schedule conflicts, or sick kids, we feel it. The wall starts to build between us. We have also made some health and weight loss changes together, we each are pursuing more interests, both together and separately. We are also communicating in a kinder way. So why am I thinking about my marriage the eve of Mom 2.0? A few days ago, when I was under the weather, I walked into our kitchen and there was a gift sitting on the counter. “What is this?” I asked. “Open it up.” Mike replied. The big kids watched, bursting with excitement. 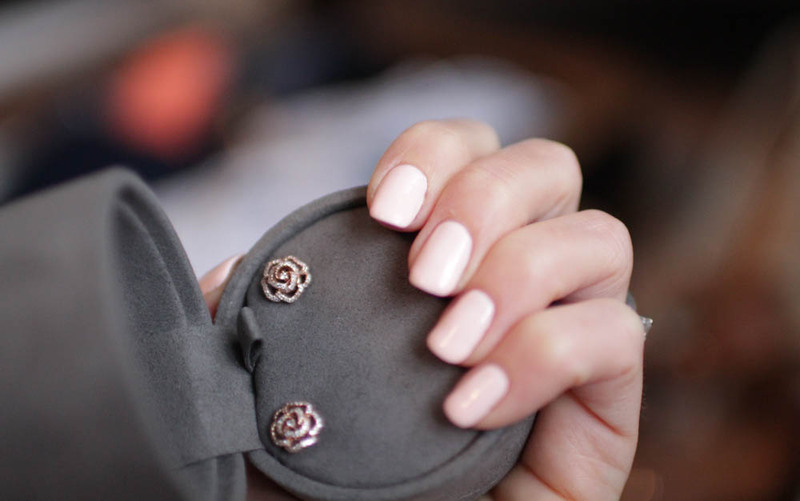 In it, was a pair of gorgeous rose-shaped, diamond earrings set in rose gold. I was shocked. “What???? Why??? ?” I asked totally surprised. I later learned that he had gone out multiple times with the kids looking for just the right gift the week before. This ridiculously beautiful and extravagant gift was coming from the guy I was about to ditch with four kids for four days. I should also mention that he gave this gift to me on one of our weeks that we had to miss date night and we were a little bit testy with each other. But this gesture to me is huge. The support he gives and the thought he put into it is incredible. I am so thankful that a year ago, we chose to fight for our marriage. To take action, not only with each other, but also ourselves. It is pretty amazing what a difference one year can make. For the next four days, while attending Mom 2.0 Summit, I will be learning from inspiring moms and listening to their stories. The scenery is going to be pretty gorgeous too! You can follow my journey on Snapchat, user name: Nesting Story. Don’t forget to follow me on Facebook and Instagram where I will also be sharing moments of my little getaway!